It’s my birrrrthday, my buh-buh-buh-birrrrthday! I know I’m 40 now and everything, but I still can’t help but get a little giddy when September 15th rolls around. Probably has something to do with being an only child and my parents spoiling me (somewhat) rotten as a child, but who likes to speculate? Yesterday I talked about my birthday game night celebration complete with mini Italian feast, and this cake was the sweetest ending. Normally I bake up a red velvet cake for my birthday because it’s hands down my favorite kind of cake, but I wanted to keep with the “theme” of the evening so I dug up this recipe that I got from an old coworker a few years back. 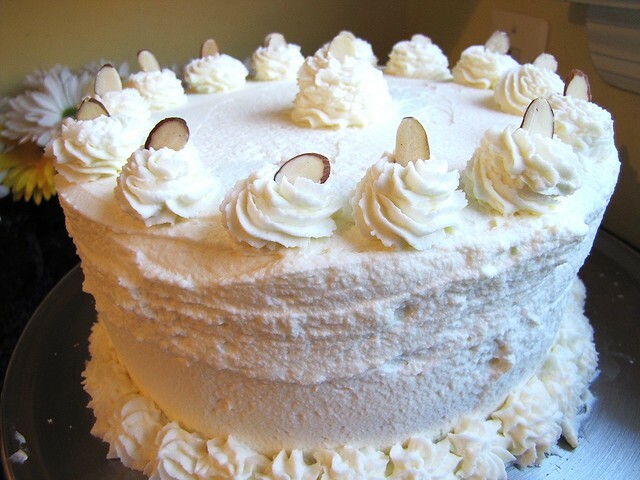 It’s a creamy white cake that’s moist and dense, with the lightest whipped cream frosting. Start with your dry ingredients: sift them together in a large bowl and set aside. 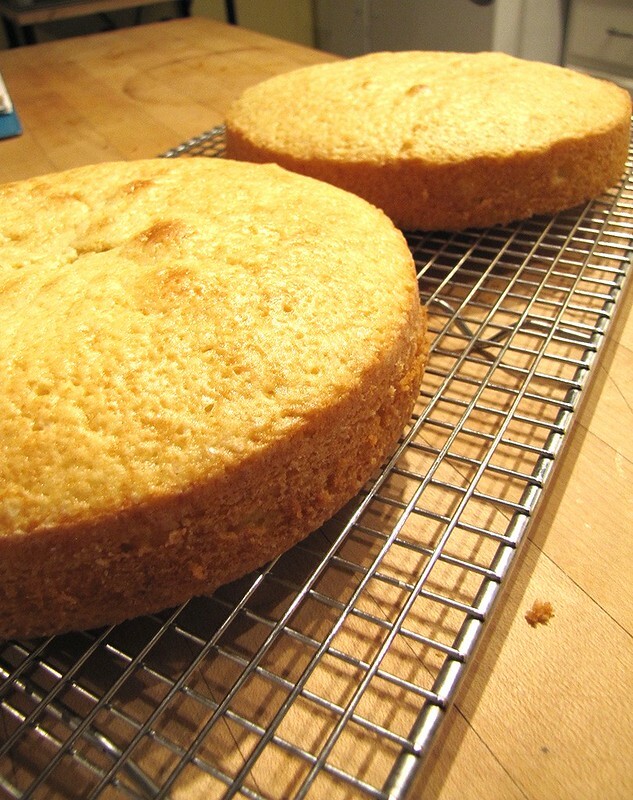 Note: for most other cakes you can skip the cake flour and just use all-purpose, but I’d definitely use cake flour here. 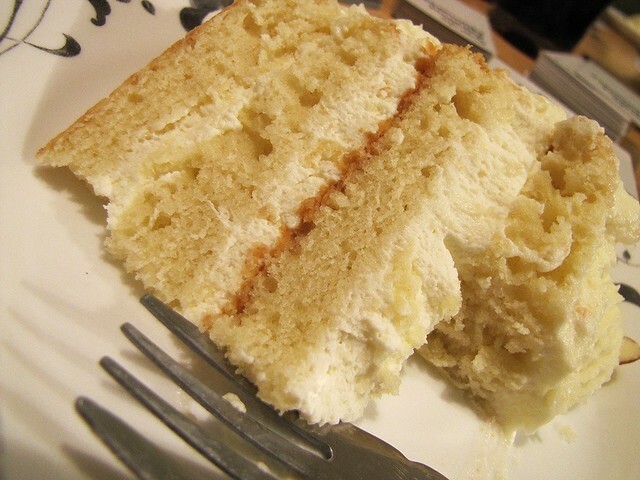 Then onto the “cream” part of the Italian cream cake. Heavy whipping cream. A lot of it. 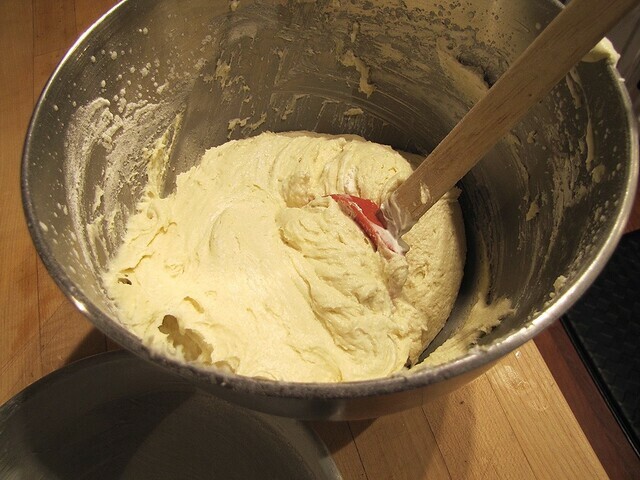 Whip it in a mixer on high until it reaches a stiff peak. Add eggs one at a time and mix until just combined, taking care to not “deflate” the cream too much. Switch out the the whisk attachment of your mixer for the beater attachment at this point. Add vanilla and almond extracts to the whipped cream mixture, then the dry ingredients, just a scoopful at a time, blending once or twice between each addition. 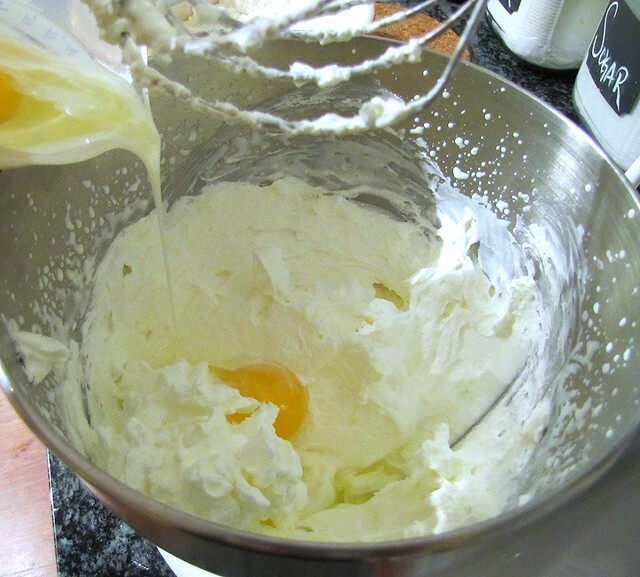 Once all the flour is added to the whipped cream remove the bowl from the mixture and stir until just combined. Your batter will be very dense. 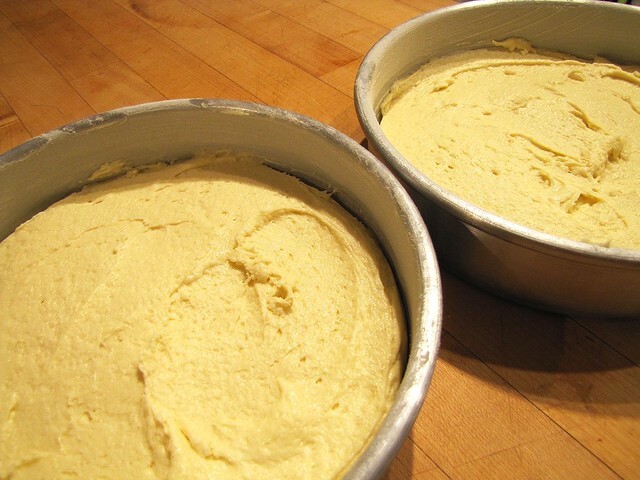 Scoop batter into prepared cake pans and spread out evenly. Bake at 350 for 30-35 minutes, until a toothpick inserted in the center comes out clean. 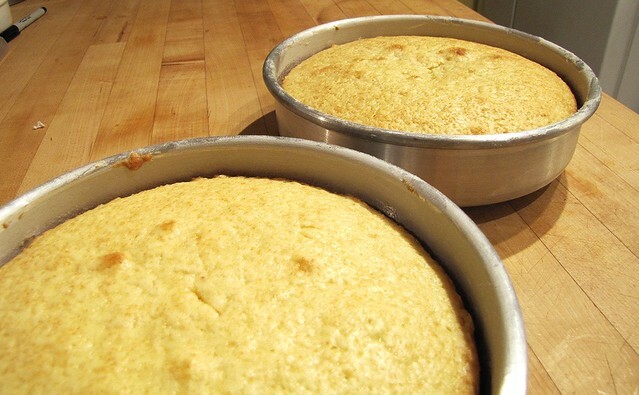 Allow to cool in pans for 10 to 15 minutes, then turn out onto a cooling rack and cool completely. At this point you can frost the cakes as they are or you can go all out like me and cut each layer in half, to create four layers. Why I do these things to myself I’ll never understand. I actually made a batch and a half of frosting, to ensure there was enough between the four layers and for piping on the fancy rosettes. You don’t have to do that, it just makes it pretty. Decorate the cake with slivered almonds, or some fresh fruit, or however you prefer. Also I’m still totally making a red velvet cake tonight, because it’s a celebration, damn it. Preheat oven to 350. Lightly grease and flour two eight inch round baking pans. 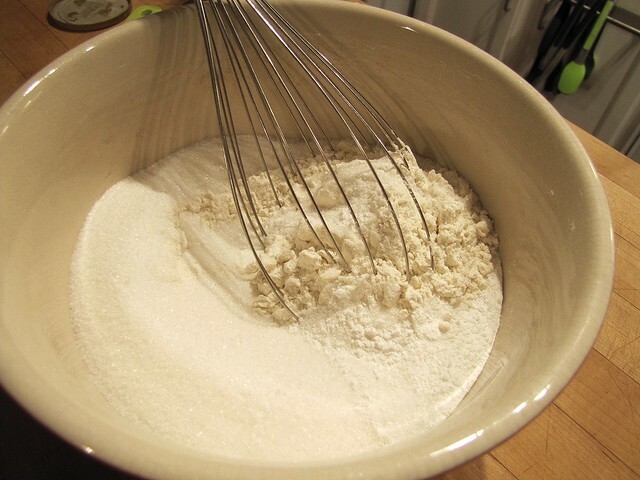 In a medium bowl, whisk together the flour, sugar, salt, and baking powder, set aside. In a large bowl, whip cream to stiff peaks. Add eggs one at a time on low speed until just blended. Add extracts. Gradually add dry ingredients by spoonfuls to the cream mixture until just blended. Divide batter equally between the prepared pans. Gently spread tops to level. 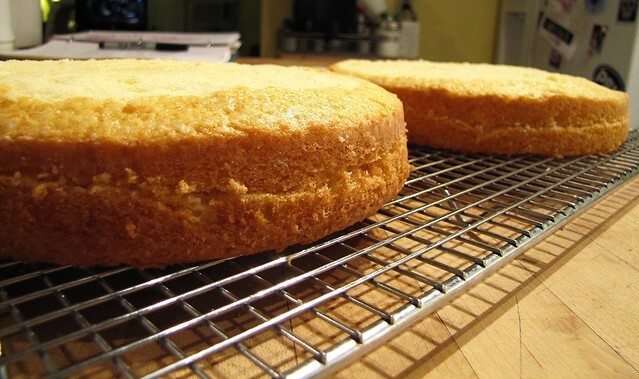 Bake cakes 30-35 minutes until toothpick inserted in the center comes out clean. Cool 10-15 minutes in pan and turn out onto a rack to finish cooling. If not frosting immediately, wrap in plastic and store in refrigerator. In a large bowl on high speed, beat mascarpone cheese, cream, and powdered sugar, scraping the bowl occasionally until stiff peaks form. Ice between layers, sides, and top of cake. Decorate as desired. Store in refrigerator, and remove approximately 30 minutes before serving.